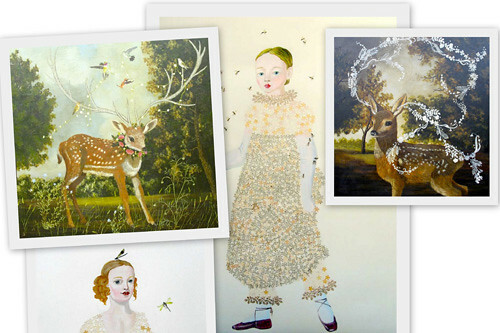 The darling and sweet Melissa from the Melissa Loves blog finds some of the best things -- like German artist Anne Siems, who I'd not heard of before. 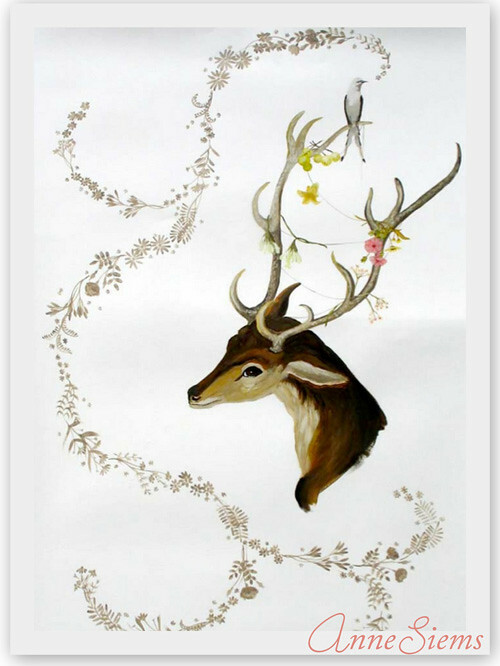 Melissa is always spotlighting the rare and beautiful out there in blogland, her site is such a delight. Anne Siems moved from Berlin to Seattle in 1991 after finishing her MFA at the Hochschule der Kunste in Berlin. About her work Anne says, "I continue with my interest in the human figure and the attributes that surround it. These attributes reflect something about the being without giving a specific narrative. Ideas about life and death, sensuality, sexuality, nature, experiences in the realm of dreams, psyche and spirit are my ongoing topic. A lot of inspiration for these pieces stem from my ongoing love for the art of the European Masters, Early American Folk Art, as well as vintage and modern photography." So nice to know of Anne and her work.